THE IRISH FARMERS’ Association has said it is happy with the progress made by Europe’s agriculture ministers on Common Agricultural Policy reforms yesterday but insists there is still a long road ahead. Henry Burns, the chairman of the association’s national livestock committee, said the flexibilities confirmed during last night’s negotiations will “help limit the damage” from changes to Single Farm Payments. He also conceded that Europe had to contend with a decreased budget. “There is no huge win here. There is still a long way for the Minister to go to get it across the line,” he told Morning Ireland. ”There are further discussions but it does strengthen the hand. Burns also noted that the reforms will hit the most productive farmers the hardest. Agriculture Minister Simon Coveney agreed that last night’s deal was only a step towards a fair deal. He must now bring the agreement to trilogue stage, where the Irish Presidency will represent the Council of Ministers in talks with the European Parliament and European Commission. He said he was pleased that the Irish plan for the redistribution of payments between farmers has been adopted in full. “We haven’t had to compromise at all. The Commissioner had initially tabled reforms to include flat-rate payments to farmers, depending on number of hectares owned. This has been criticised heavily in Ireland with Burns describing the proposals as “mad and indiscriminate”. “The Commissioner is more isolated and losing support for the flat-rate payment which would decimate agriculture and farming in Europe,” he added. As part of the agreement, flexibility in the way direct payments are distributed within Member States will be allowed (something known as internal convergence). Other difficulties addressed by ministers during talks include greening payments, sugar quotas and voluntary-coupled support. 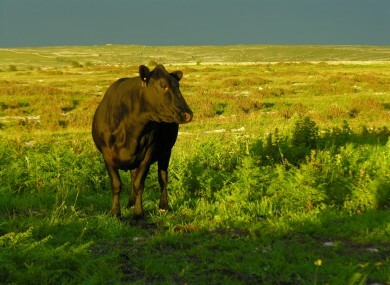 Email “Farmers happy with progress on CAP but there is still 'a long way to go'”. Feedback on “Farmers happy with progress on CAP but there is still 'a long way to go'”.